The Ultimate Guide to Creating a Cake for the Best Doggo in Your Life. Is there a doggo in your life that deserves celebrating? Maybe it's your families dog, your dog, the neighbors' dog, your ex's dog...we don't judge. All we know is that these precious pups deserve cake and we're here to help you give it to them. 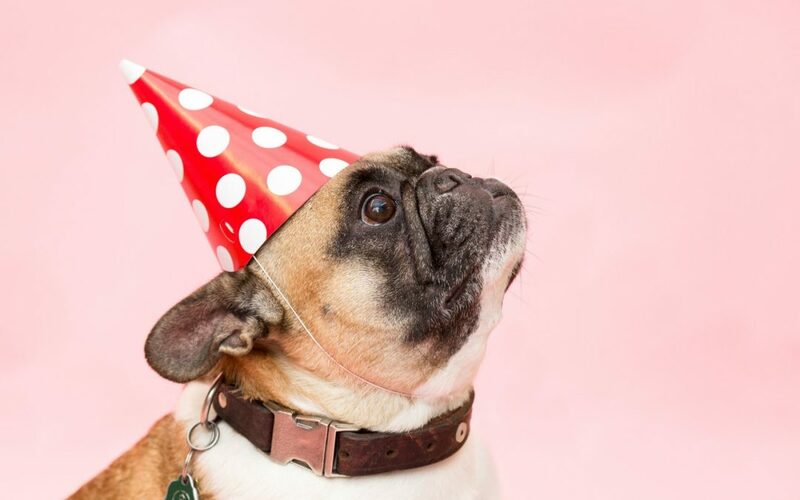 Sit, stay, and get ready to learn everything you'll need to know about making a non-toxic, emphasis on the non-toxic (more on that later), dog birthday cake! 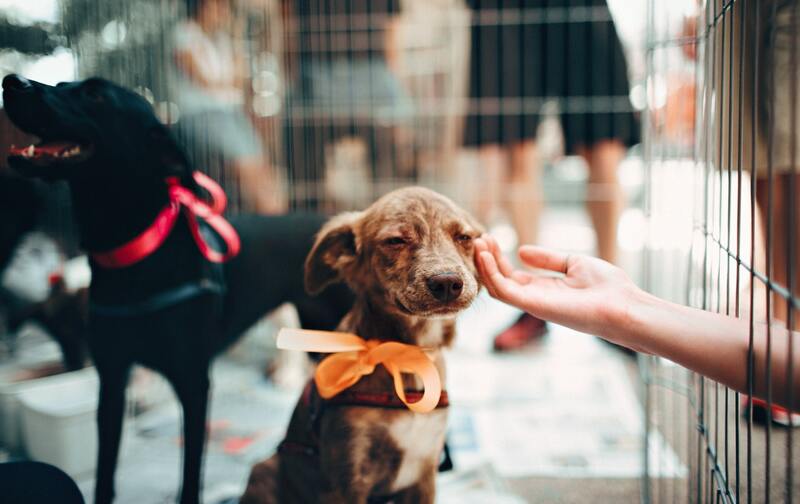 Dogs bring so much joy into so many people's lives that it's only fair that we give them the recognition they deserve, especially on their special day. Sure there are the standard bully sticks, cookies, and treats that you can buy from a store, but that's so last year. We're woke this year, and that means we are appreciating our furry four-legged best friends with an enormous, baked, good. Pans, Spatulas, and Bowls, Oh My! If you're going to spoil your dog rotten, you've got to have the right supplies to do it. What size and shape pan you choose to go with is up to you and your dog. Well...maybe don't let them decide. Now that you have your list of supplies you can begin to think about what type of recipe you want to make. To avoid any breakdowns we recommend that you strive to remain realistic especially if you're in a time crunch. If you're overwhelmed while scrolling through Pinterest, don't worry, there are a few easy ways to narrow down your search. While making a cake larger than your dog is great for the ‘Gram, it's not entirely practical. One of the easiest ways to find a recipe to suit your dog is to search based on their size. No, we're not talking about body shaming, just the standard toy, small, medium, or large breed dog sizes. Selecting a recipe based on your dog's digestive system is key. If you know peanut butter gives Spot the runs, then you best find a recipe without it. Trust us, you may be thinking "it's just one day; it'll be fine." But, some stains are forever. Does your dog love peanut butter? Maybe bacon is more of their jam. Whatever your dog is into, add that to your list of must-haves when searching for recipes. If you're not sure what floats their doggy boat we've included a section, down below, on go-to flavors most dogs will love. While it may be tempting to make your perfect pup a chocolate dog birthday cake, you'll want to think again. Common cake ingredients such as chocolate can be toxic to dogs. Whereas products such as milk and dairy, may not be toxic, they can still cause some seriously loose stools that we all want to avoid. Do you have a picky pooch on your hands? You're not alone; many people struggle to find flavors their dogs will love. That's why we've included the list below of common dog birthday cake flavors they're bound to love. Peanut butter is an easy favorite among most dogs due to the lure of the protein. That makes peanut butter a safe and healthy choice for your furry friends' cake. Just make sure the peanut butter you are using is all natural and free of any xylitol. Pumpkin may seem like a surprising choice for your dog, but it's not a surprising choice for you when the Pumpkin Spice Latte rolls around every fall. We're not afraid of being basic and neither is your dog. Let them live their pumpkin fantasies...just without the spice. 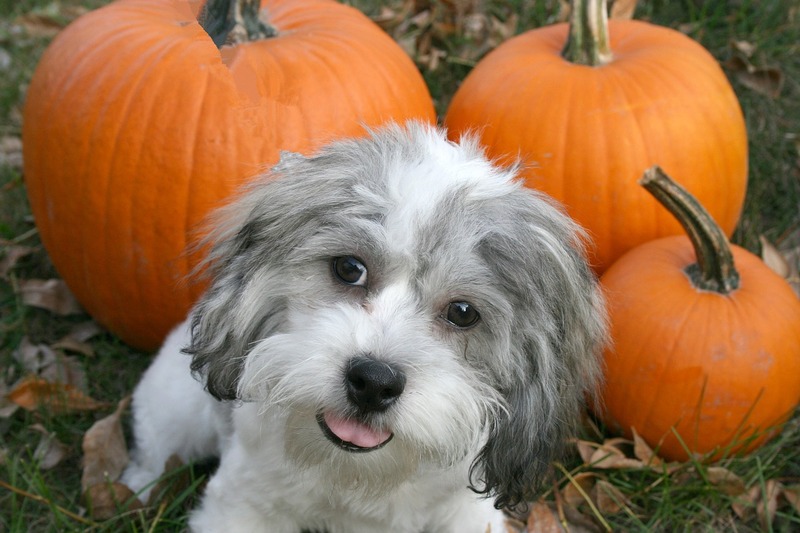 Pumpkin is actually incredibly healthy for dogs and helps combat both constipation and diarrhea. Did someone say carrot cake? Carrots are a fresh and crunchy treat for your dog so why not include them in their cake? There are a number of carrot cake recipes out there that are safe to enjoy for dogs and humans alike! Do you have a dog that is watching their figure? Don't worry, just like there are low-fat options for humans there are also health conscious options for pups. You can also find a lot of great forums online with owners sharing tips for their picky and health conscious doggos. It's not easy to make a cake without flour and that's where a lot of debate comes into the pet community. Ideally, dogs shouldn't consume flour because they simply don't need it. 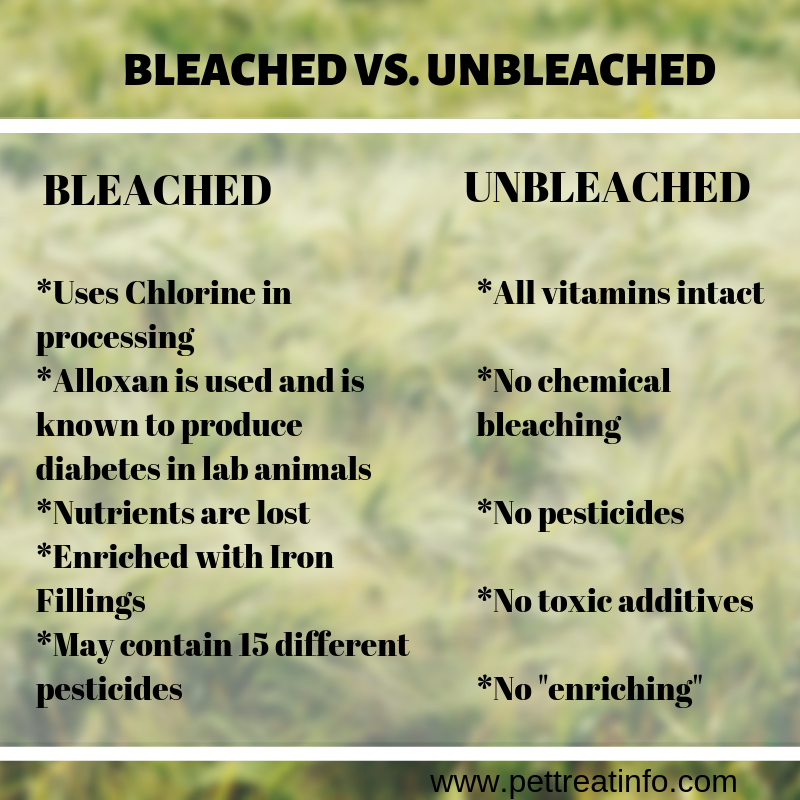 While flour isn't harmful to most dogs there are some healthier options out there than traditional, bleached, white flour. When you're searching for dog birthday cake recipes you may have come across grain-free options. As humans, we love our gluten-free options so shouldn't we make the same choice for old Fido here? Well, that depends. 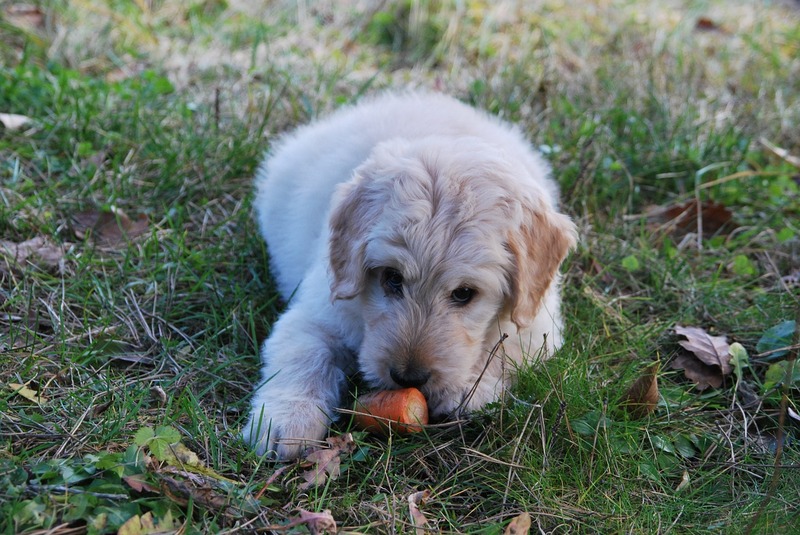 The truth is, grains are only harmful to dogs if they have a preexisting allergy to grains. If Fido doesn't have a gluten intolerance than grains can provide an excellent source of nutrients in your cake. You may begin to put together your recipe and start licking your own lips. While we'll tolerate no begging here...you'll be happy to know that most dog birthday cakes can be safely shared between owner and pet. "While we'll tolerate no begging here...you'll be happy to know that most dog birthday cakes can be safely shared between owner and pet." Just make sure you grab yourself a slice before it gets taken to Slobber Town. 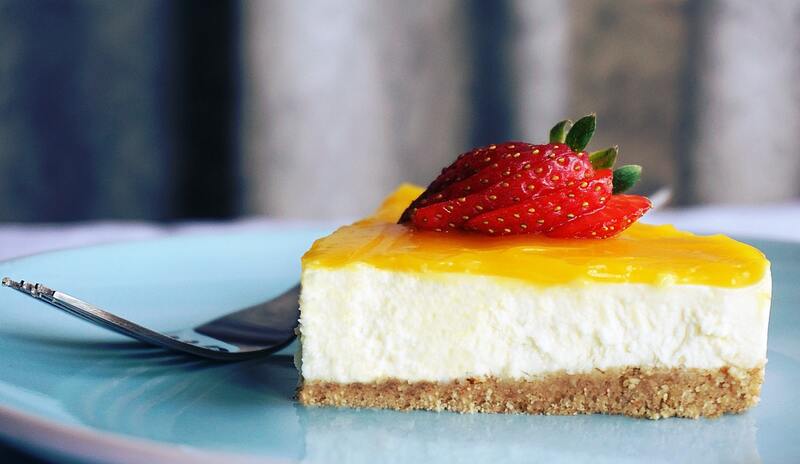 If you don't want to spend the next hour scrolling through Pinterest, you can try out some of our favorite recipes below. The best part is, you may have a lot of these ingredients on hand already and if not they can easily be stored and saved for future pupcakes and treats! 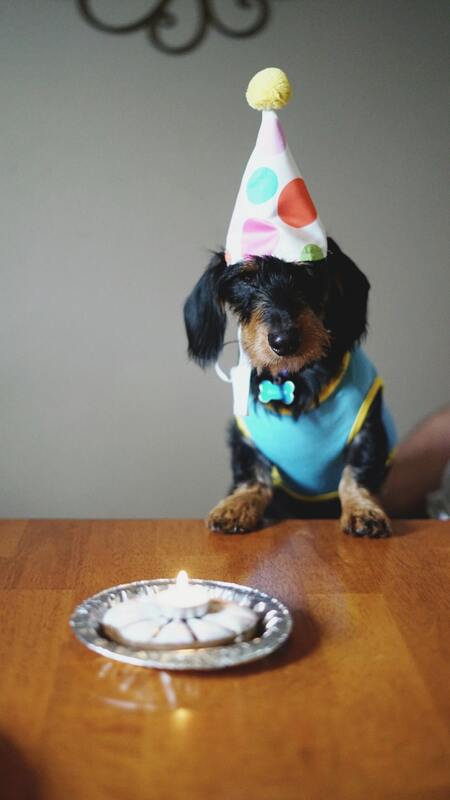 The Spoiled Dog Cake Recipe by Love From The Oven is the ultimate good boy's birthday cake. ​This cake even features Greek yogurt flavored with peanut butter to create the frosting. 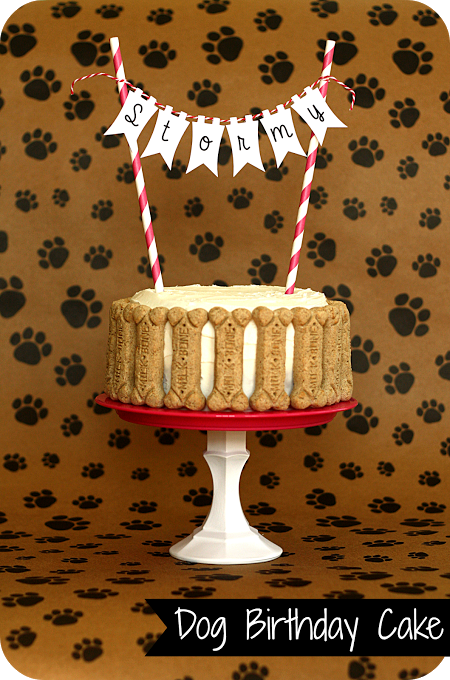 Sprinkled and lined with Milk-Bone® Mini's, this two-layered cake is enough to make anyone's tail wag. Possibly the best birthday cake name for a dog on the planet is the Sweet and Salty Dog cake from Parsnips and Pastries. Featuring drool-worthy flavors such as pumpkin, peanut butter, apples, and bacon, your doggo will be jumping for joy at this concoction. If you think the crumbled bacon delicately sprinkled on the edges is too much...we can't be friends. 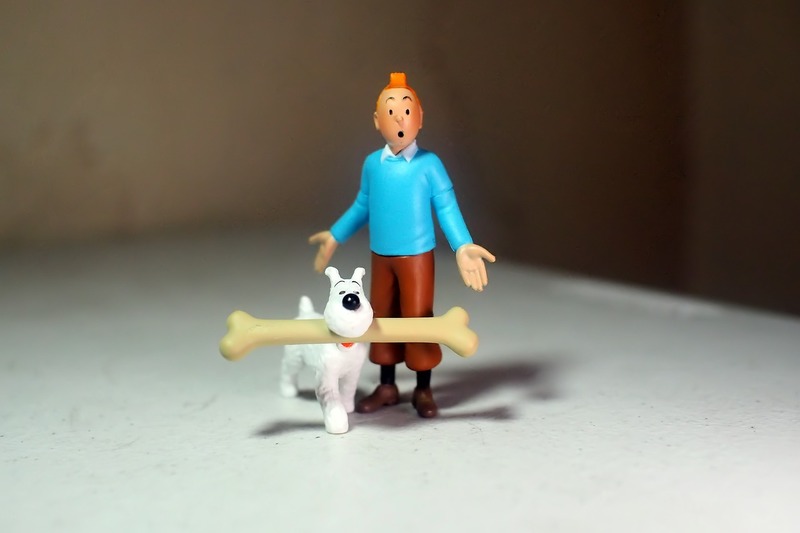 Sure cakes that are circles and squares are fun...but what about a bone-shaped birthday cake? 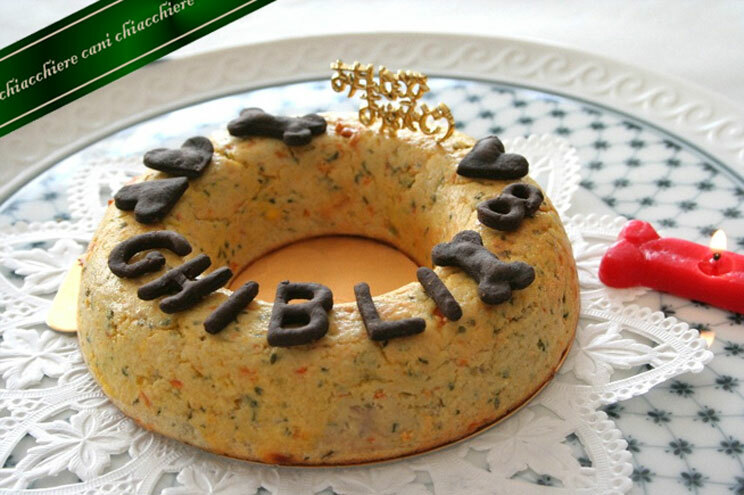 ​Brown Eyes Baker has one of our favorite recipes, ever, for dog birthday cakes. The best part is, you can make it as large or as little as your furry friend needs them to be. Do I Have to Bake It? If you don't have an oven or don't want to smell some of your dogs' favorite flavors ruminating throughout your house, there are plenty of no-bake recipes out there for dog birthday cakes. Choose from frozen yogurt, cheese and bacon logs, and more! For more inspiration, check out Dog Care's article on Dog Cakes That Don't Have to Be Baked by Deborah Lundin. If you're looking for a quick treat, those one mug recipes are perfect for your pooch as well. Check out Bitz & Giggles' Microwavable dog-safe recipe for a great guide! ​Decorating your dog's birthday cake is easily one of the best parts of this entire process. Go ahead, get creative, go crazy; your dog will likely thank you for it. When it comes to decorating, the possibilities are practically endless. Hundreds of colors, patterns, and designs await to inspire you. Our recommendations? Start with pet-friendly frosting, food shavings, and treats to start. Cake without frosting just turns into a large loaf of sweet bread, and we can guarantee that's not what Spot wants. 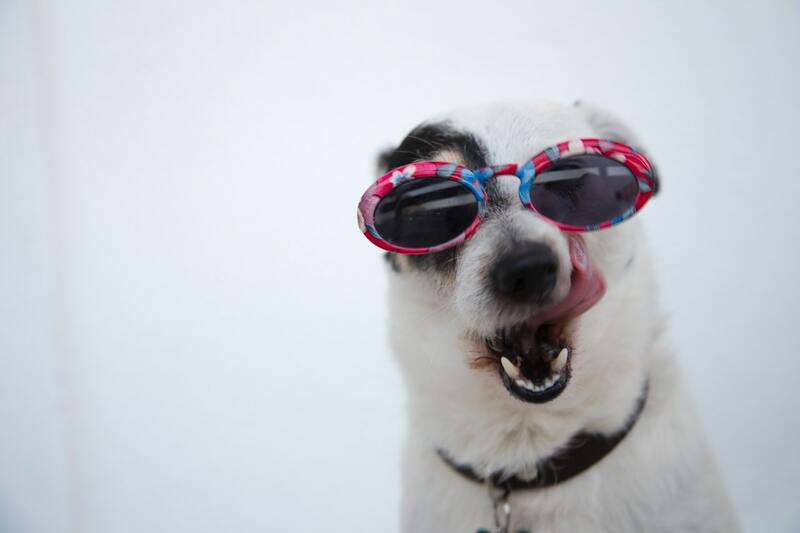 Dog safe frosting usually consists of yogurt, cottage cheese, or cream cheese. ​The best part is, the frosting can be colored, safely, using natural food coloring for even more added flare! Check the easy frosting recipes the team at Cuteness put together. Treats come in all sorts of shapes and sizes and are a great way to decorate a dog birthday cake. 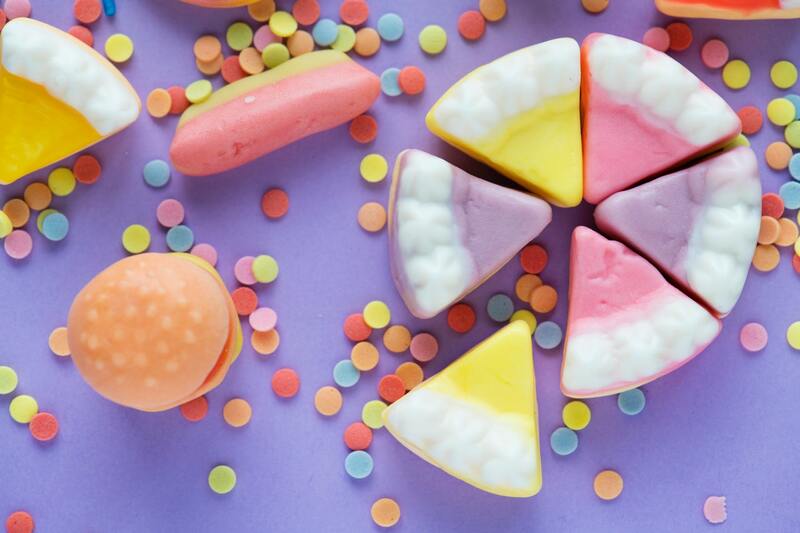 ​We love using treats in fun shapes such as small bones, hearts, triangles, and more. There are a ton of natural foods you can use to decorate your dogs birthday cake. ​Shavings from coconuts, carrots, and cheese are a great choice in moderation! You can also opt for topping the cake with berries or pet-safe sprinkles. We love the inexpensive, gluten-free, option from Let's Do Organic's. Can't I Just Buy One? ​Baking isn't for everyone and that's okay because consumerism exists. If you're afraid of the kitchen or just can't find the time to bake, buying your poochie a birthday cake is a valid option in some cases. We don't know about you but when we read the words “just add water,” we get excited. 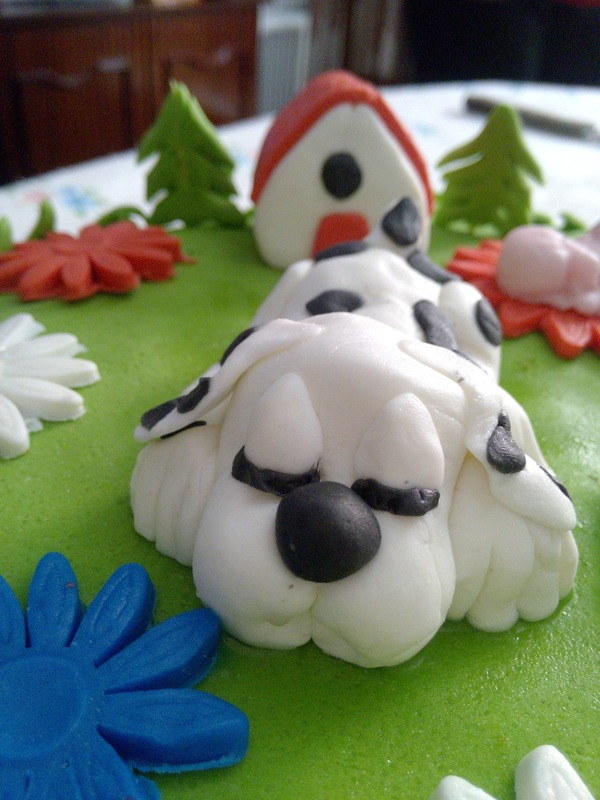 Ready-made cakes for dogs are, surprisingly, a thing and, surprisingly, inexpensive. We recommend heading on over to Chewy.com to check out their Pooch Cake Wheat-Free Peanut Butter Cake Mix & Frosting. If you want to avoid baking altogether, you can purchase cakes that are already made at your local pet store or online. So, you're not much of a baker, but you want something truly special...sounds like ordering a custom cake is your gig. 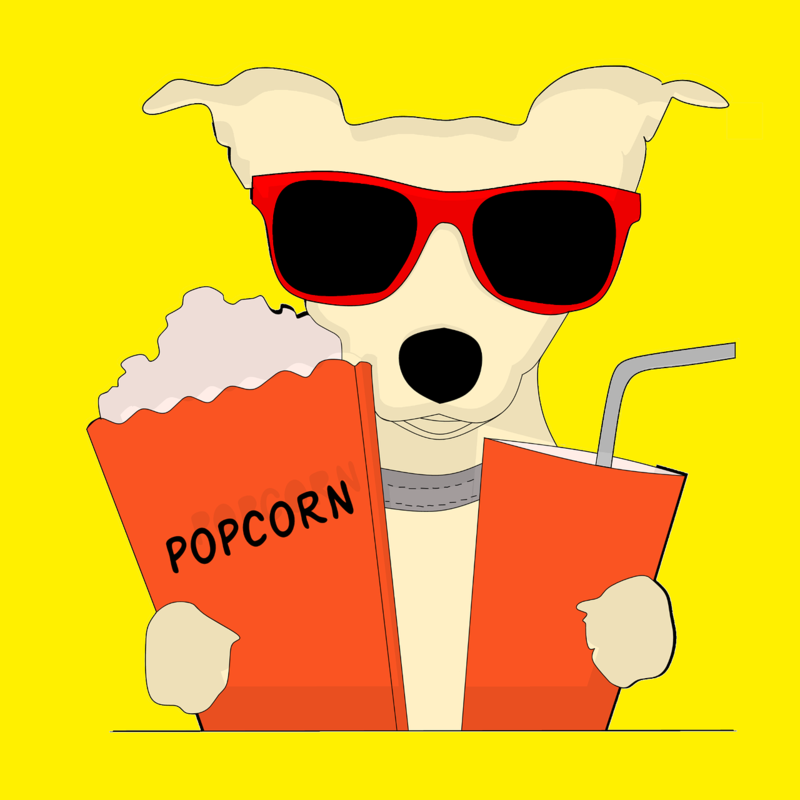 ​Websites like PoochieHeaven.com are made for dog owners like you. Simply add the custom cake to your cart, type out your specifications, and away you go. We get it. Not everyone is an artist, and sometimes you need just a little inspiration to get you going. Below we have put together a list of images that are sure to inspire the over the top dog parent in you. Just make sure you take your time and have realistic expectations so you don't end up on a list of Pinterest fails. Are written instructions, like, so, not your thing? YouTube is your friend. Hop onto the platform and watch hundreds of people walk you through every step of the baking process. Do you want to make an epic, three-tiered, cake for your miniature Yorkie's birthday bash? You'll find no judgment here. That being said, unless Tiffany the Yorkie has 100 other Yorkie friends that have RSVP'd, you're probably going to want to store some of those leftovers. 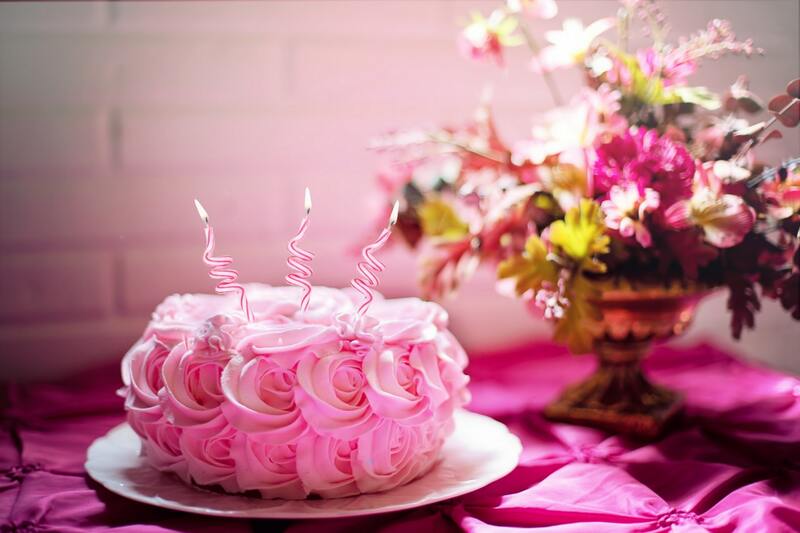 Just like with regular cake, cover it tightly and pop it in the fridge for up to three days to preserve freshness. If that elaborate cake still remains after day three you can pop it into the freezer and leave it there for up to two whole months. 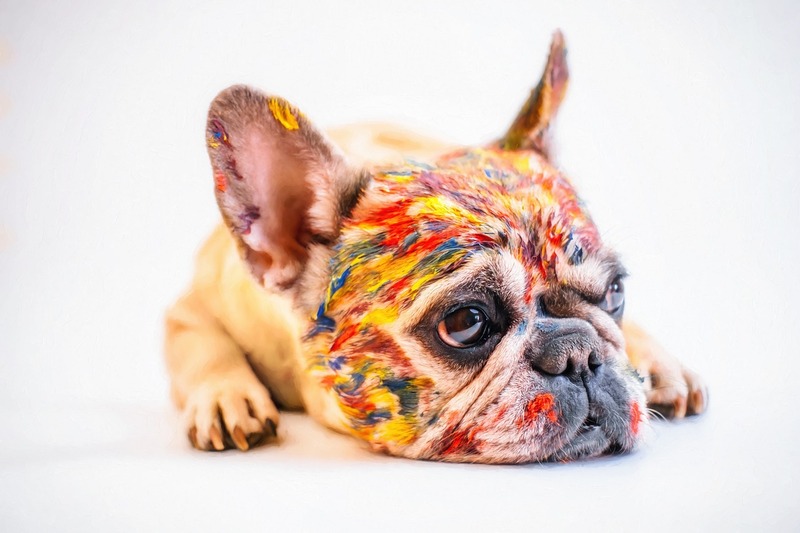 Not sure if your dog will truly appreciate the efforts you went through to create them a masterpiece? In order to help manage your expectations, we've put together some images and GIFs of other, good, birthday boys and their cakes to see for yourself. ​Did something go awry while you were making your masterpiece? Don't worry; you're not alone. Baking can be a persnickety temptress, and only those with patience and precision can tame her. Below you'll find a list of the most common baking mishaps that can be easily remedied. Did your dog's cake turn into a crumbly Sahara desert? Did you take Fido's cake out of the oven only to find you low-key made a molten lava cake with a soupy inside or bottom? If so, you probably added far too much moisture. Next time, try balancing the recipe by adding more flour! Did your cake fail to rise to the occasion? How rude. You know what ingredients are toxic to dogs but...does the rest of the internet? When you're searching for inspiration for your best friends birthday, you're likely to encounter some questionable recipes, advice, and even pictures. In order to avoid any diarrhea drama or trips to the vet, there are a few things you just shouldn't do. There's a common trend among dog owners to allow their furry friends to consume raw meat. While raw meat is okay for wild animals, domesticated dogs just don't have the ideal digestion systems to consume it. Just like people, dogs can run the risk of contracting some serious illnesses. After all, nothing says happy birthday like salmonella and listeria! We're kidding, obviously. Best to avoid any potential mishaps and steer clear of this trend all together to keep you and your pooch safe. What does ice cream cake and Starbucks Puppuccino's have in common? They're both dairy filled nightmares that are sure to have your dog bloated, farting, uncomfortable, and worse...leaving not so solid presents all over your house. While dairy options may seem like a fun treat to both of you, your birthday is no time to find out that you are lactose intolerant. It may be tempting to be lazy and buy a pre-made or ready to make cake from the store. However, when you cut corners and give your dog that much sugar, meant for humans, you can expect to see some serious upset in all categories. Not only will your dog be miserable with the sheer amount of inflammation coursing through their furry bodies but you'll be miserable cleaning up any vomit and loose stools. All in all, our rule of thumb, on pre-made treats, is if it doesn't state it's pet safe, it's probably not. It will probably blow your mind to learn that even some pet designated products contain ingredients such as garlic that are less than ideal for puppers. Let that be a lesson to always read the labels! Ready for a Doggie Bag? Now that you have your inspiration, and safe baking knowledge, you can get to work on creating a drool-worthy dog birthday cake. Just be mindful of your ingredients...and Fido's digestive tract and you should have a festive day full of smiling faces and wagging tails.